The European Open celebrate their 10-year-anniversary this year as the tournament’s 11th edition takes place in Gothenburg, Sweden from 29 June to 3 July. 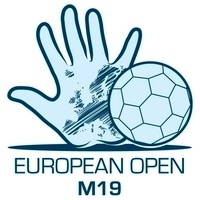 It was in 2005 that the European Handball Federation added the European Open to the repertoire of younger age category competitions to provide another opportunity for men’s and women’s youth national teams to gain more experience on the international stage. "Ten years later, we are very pleased to witness the ongoing resounding success of this event. The European Open continues to serve its purpose as the players ‘graduate’ from the European Open to be seen a year later at the next YAC European Championship," says EHF President Jean Brihault. "Now, as an opener to the 2015 summer of handball, the next generation is ready to step into the spotlight." 16 teams in four groups of four teams each participate in the tournament. 56 matches will be played until the winning team will be known. The first two teams of each group make it to the two main round groups, from which again the first two teams each qualify for the semi-finals. Celebrating their men’s event debut in this anniversary year are the teams from Georgia and Kosovo. The venues will be the Valhalla (800 seats) and Liseberg Hall (2,000 seats) for the preliminary and the main round, while the semi-finals and the final will be played in the 6,000-capacity Scandinavium. Two years ago, at the 2013 event, Sweden won the tournament ahead of Romania and Denmark. This year, the Swedish team will be again one of the favourites, but also Spain, bronze medallists at the Men's 18 EHF EURO 2014, will have a firm chance of topping the podium. Once again the European Open take place at the same time as Europe’s largest handball festival, the Partille Cup. In 2016 the European Open will continue with the Women’s under-18 event.